Unlike most other Greeks, the inhabitants of Epirus lived in small villages. The region lay on the periphery of the Greek world, and was far from peaceful; for many centuries it remained a frontier area contested with the Illyrian peoples to the north. Epirus had great religious significance due to the presence of the shrine and oracle at Dodona – second only to the oracle at Delphi. 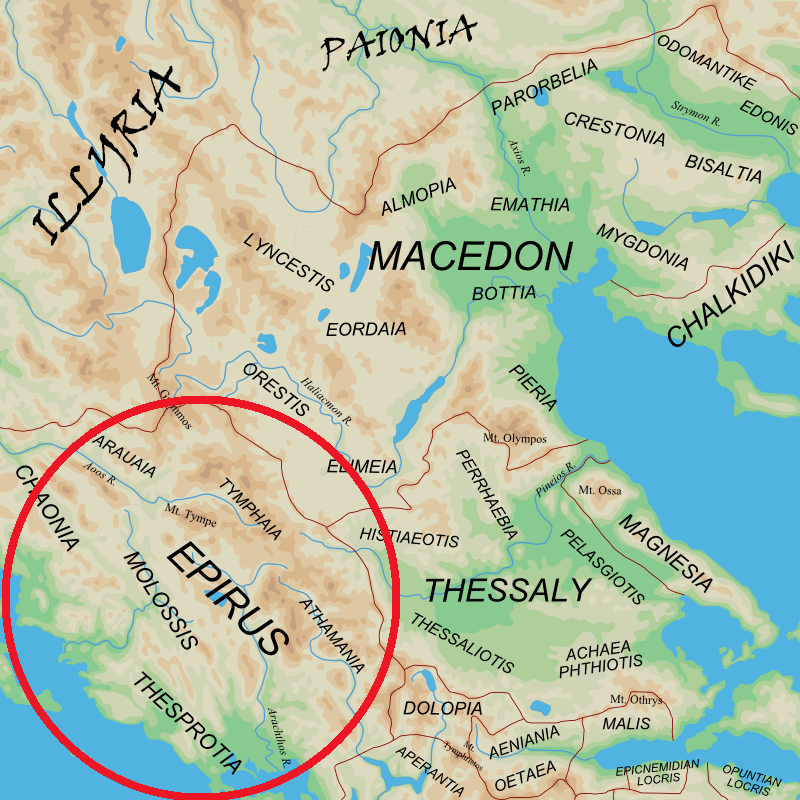 Beginning in 370 BC, the Molossian Aeacidae dynasty built a centralized state in Epirus and began expanding their power. The dynasty ended in 232 BC, but Epirus remained a substantial power, unified as the Epirote League, a federal state. In 167 BC, the League fell to the Roman Republic.